There is little more fabulous than escaping the hustle and bustle of the city and getting back to nature. We’ve embraced the great outdoors and rounded up our top 10 city parks in the world, each promising a little urban zen. Where: On San Francisco’s west side. What: Built from more than 1,000 acres of sand dunes by civil engineer William Hammond Hall and master gardener John McLaren, San Francisco’s beloved Golden Gate Park opened to the public in 1870. By 1879, this urban haven boasted 155,000 trees and plenty of culture-worthy attractions including the Conservatory of Flowers (the oldest Victorian greenhouse in the Western Hemisphere) and the five-acre Japanese Tea Garden, originally designed for the 1894 Midwinter International Exposition. The best bits: Bordered by the Pacific Ocean at its western end, this 1,017-acre public park draws 13 million visitors annually. 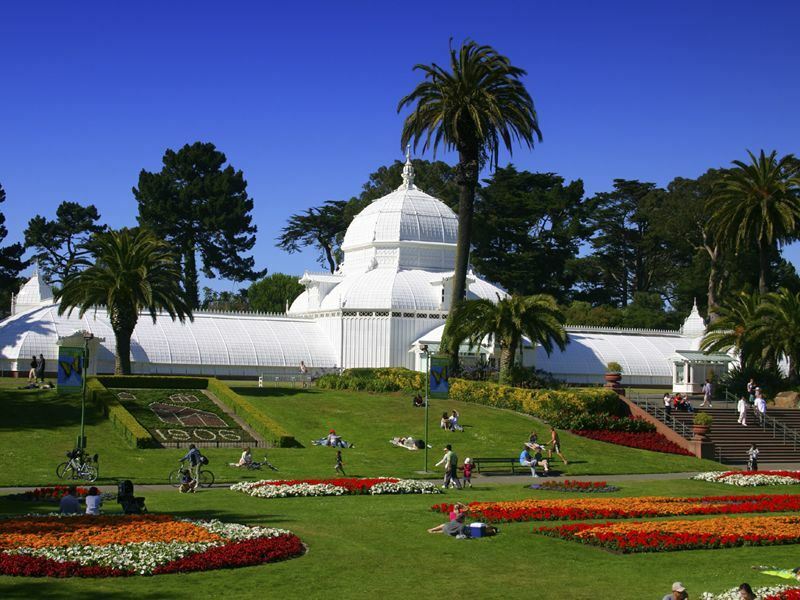 There is much here to impress; from the Botanical Garden at Strybing Arboretum to the Music Concourse that has been hosting free Sunday concerts by the Golden Gate Park Band since the late 1800's. Other highlights include the De Young Museum, The National AIDS Memorial Grove and the California Academy of Sciences which is housed in a dazzling glass building that opened in 2008. Explore the enchanting Shakespeare Garden, rent a paddle boat on Stow Lake, jog around Strawberry Hill and chill out in the sunshine at one of the many picnic areas and barbeque pits. Where: In the 6th arrondissement on the Left Bank, near the Sorbonne. 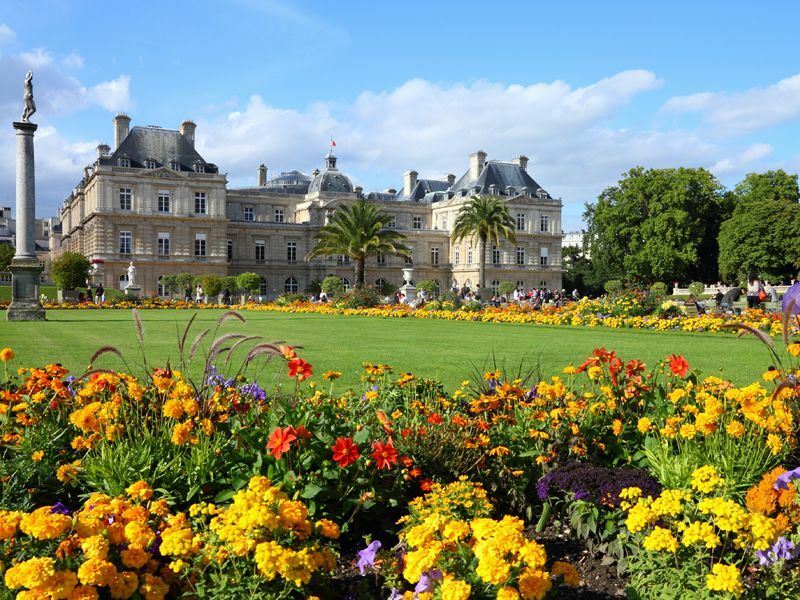 What: These grandiose Baroque-style gardens were built to complement Palais du Luxembourg, the royal residence built in 1631 for Marie de Medicis, widow of Henri IV of France. The palace was designed to be a replica of the Pitti Palace in her native Florence, but sadly the queen consort didn’t spend get to spend much time in her new surroundings – she was exiled to Blois by her son Louis XIII. After the French Revolution, the gardens were restored by architect Jean-François-Thérèse Chalgrin, best known for designing the Arc de Triomphe. Today the palace is home to the French Senate and the gardens are a public park – the city’s second largest after Père Lachaise Park and Cemetery. The best bits: Set against a backdrop of impeccable lawns, intricate flower beds, sculptures, statues and fountains, this much-adored 25-hectare Parisian retreat is dominated by Le Grand Bassin, an octagonal pond where children can sail model boats for a small fee. There is also an enclosed playground, vintage carousel, bandstand, tennis courts and Théâtre des Marionnettes, a classic puppet show attraction. Most beautiful is the Italian Renaissance-styled Fontaine de Médicis (Medici Fountain), a bronze replica of the Statue of Liberty that was gifted from the sculptor Bartholdi, and the Statue of Saint-Geneviève, patroness of Paris. Where: Consisting of two circular areas (the Inner and Outer Circle) in north-west London. What: Once known as Marylebone Park, this 410-acre city oasis was a one-time hunting ground for Henry VIII. In 1811, the Prince Regent (later King George IV) commissioned his good friend British architect John Nash to transform the land for what he called his ‘improvements for London’. Nash’s ambitious plans included laying out a series of lakes and gardens, bordering the park with palatial white stucco villas and creating Regent’s Canal, which linked to the Grand Junction Canal. The park opened to the public in 1835 and became home to both the Zoological Society and the Royal Botanic Society. 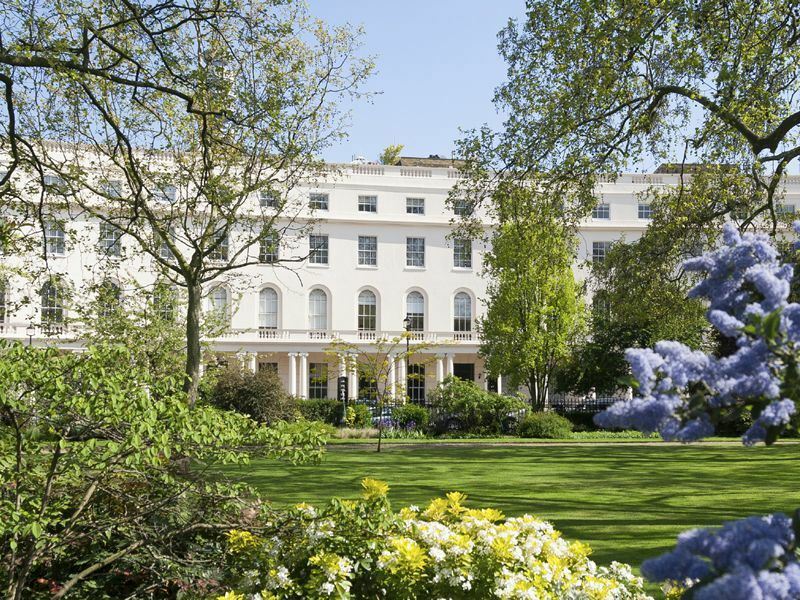 The best bits: Regent’s Park is most famously associated with London Zoo which opened in 1847; positioned at the north-east corner of the park it houses over 760 different species of animal. A later addition was the Queen Mary’s Gardens; opened in 1932 and named after the wife of King George V, this circular garden showcases over 30,000 roses. Other attractions include a boating lake where rowing and pedal boats are available to hire, a café with a large waterside terrace seating area, an open-air theatre, a bandstand and a large sports field. Located on the northern side of Regent’s Park is Primrose Hill; the panoramic view from the top of this 256-feet hill is one of London’s best. Where: Located on Avenida Pedro Alvares Cabral in the heart of the city, Brazil. 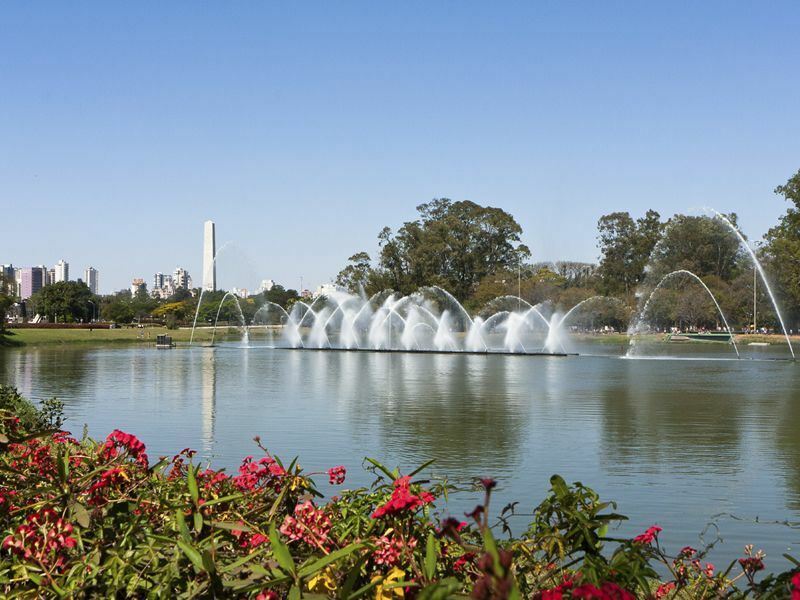 What: Officially opened in 1954 to mark the 400th anniversary of the city of Sao Paulo, this world-famous city park was designed by Brazilian landscape architect Robert Burle Marx together with prolific modern architect Oscar Niemeyer who died in 2012 just days before his 105th birthday. Much like New York’s Central Park (to which it is often compared) the park is filled with playgrounds, cycle paths, a roller-skating rink, jogging trails, fountains, lagoons and a lake. The best bits: Boasting over two million square-metres of green space, this inner-city park features several buildings including The Museum of Modern Art, which houses over 4,000 contemporary Brazilian artworks, and the striking white-domed Oca, a flying saucer-shaped building that hosts temporary art exhibits. Other cultural wonders include the Ibirapuera Planetarium (the first to be installed in Latin America) and the Ibirapuera Auditorium which hosts concerts and musical events. Rent a bike, relax by the lake and make use of the Bosque de Leitura, a free outdoor lending library that lets visitors borrow books and magazines to read for the duration of their park stay. Every Sunday morning there is a free concert performed at the open-air theatre Prace da Paz, which is also known as Peace Square. Where: Along Supreme Court Road and Cotton Tree Drive in the Central District of Hong Kong Island. What: Overlooking the city’s gleaming skyscrapers, this calming oasis was opened in May 1991 at a cost of HK$398 million. Measuring eight hectares, the park stands on the site of an old garrison called Victoria Barracks (built between the 1840's and 1874) that was handed to the government in 1979. This excellent showcase of classic and contemporary landscaping has preserved a few of its historic buildings, most famously the Museum of Tea Ware in Flagstaff House; once a luxurious home for the Commander of the British Forces in Hong Kong it now houses a fine collection of tea-related antiques. The best bits: Boasting an intricate setting filled with flowers, trees, waterfalls, fountains and ponds, the park’s highlight is an artificial lake complete with giant carp and a huge colony of turtles. 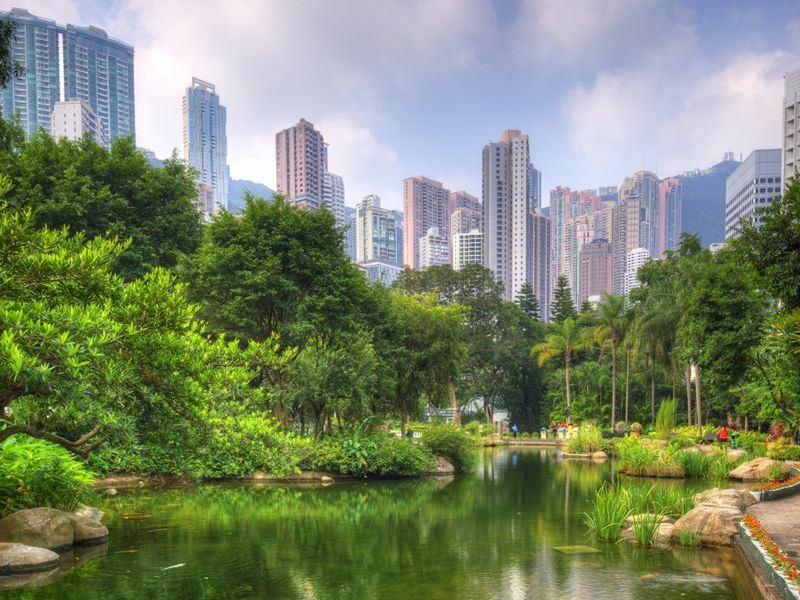 Other features include the Hong Kong Visual Arts Centre, a greenhouse displaying over 2,000 rare plant species and the Edward Youde Aviary that is built on an elevated walkway and houses around 600 exotic birds. There is also a 1,000-square-metre children’s playground set on six platforms at different levels and a viewing platform known as the Vantage Point; this 30-metre tower with 105 steps affords visitors panoramic views across the park. Where: In the heart of the city on Rama IV Road in Bangkok’s Patumwan District. What: Bangkok’s first public park was commissioned by King Rama VI in 1925 on the grounds of Saladaeng Field, a former royal residence. Named after Nepal’s Lumpini District, the birthplace of Lord Buddha, this 145-acre site was used as a Japanese army camp during World War II before returning to its original use as a recreation space in 1954. The Royal Monument of King Rama VI – a statue dedicated to this much-loved king – has presided at the park’s gates since 1942. 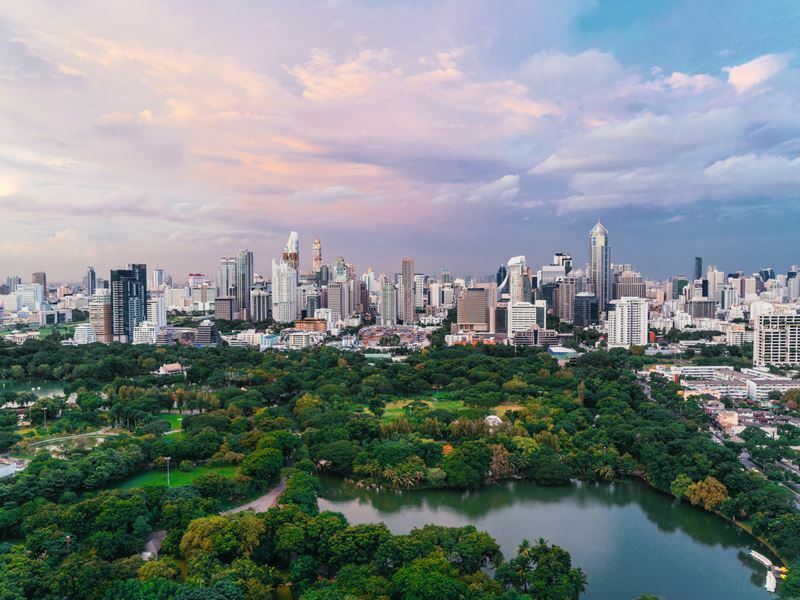 The best bits: Set against a backdrop of glimmering city skyscrapers, this gorgeously green space features an ancient Chinese-style clock tower, ornamental lakes, jogging trails, playgrounds and a public library. Visitors can unwind on the beautifully-maintained lawns, watch the locals practice Tai Chi or rent a paddleboat on the artificial lake. 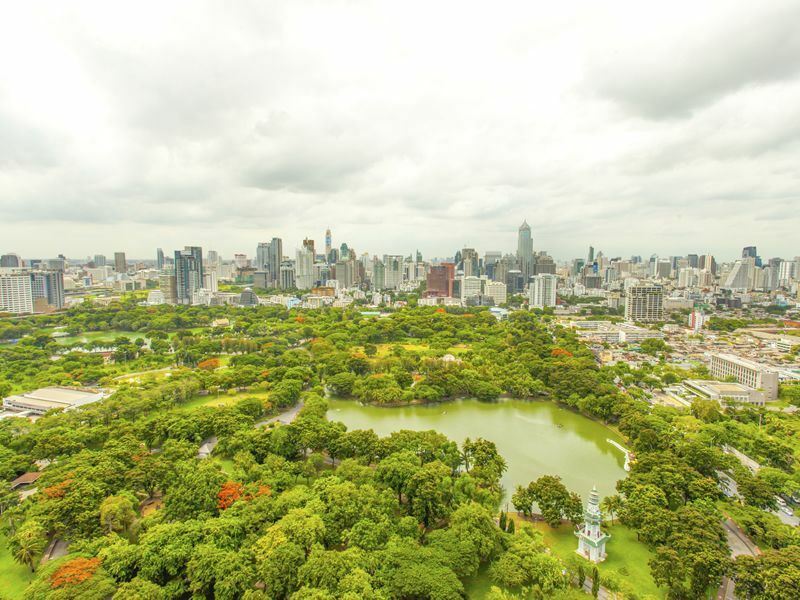 The park strives to offer Bangkok’s city dwellers the perfect connection to nature and therefore imposes a ban (and subsequent fine) for footballs, pets, animal feeding and smoking. From February until April, the park hosts Music in the Park, a weekly series of free al fresco concerts by jazz outfits and classical orchestras (including the Bangkok Symphony Orchestra). This ever-popular event is held on Sunday afternoons in the Palm Garden. Other distinguishing park features include a bamboo garden, swimming pool and open-aired gym. What: Opened in 1888 and named after Lord Stanley of Preston, who served as the sixth Governor General of Canada, this 1,000-acre evergreen wonderland was developed on a peninsula that was once a First Nations ceremonial site. Designated a National Historic Site of Canada in 1988, this all-encompassing space captures the spirit of Vancouver and impresses with forests, beaches, flower gardens and nine carved First Nation’s totem poles. One of the park’s top attractions is the Vancouver Aquarium, home to 70,000 creatures including beluga whales, dolphins and sharks. 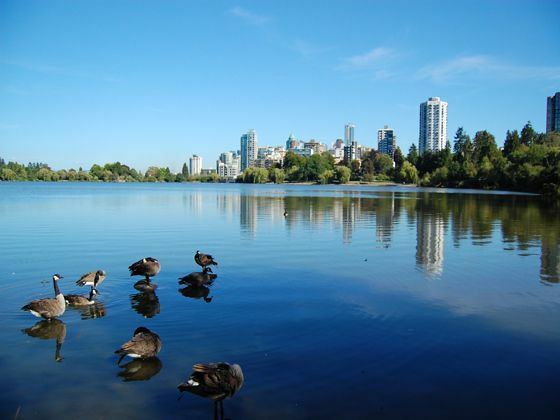 The best bits: A five-mile seawall trail that circles Stanley Park is a popular choice for hikers and bikers who either walk the perimeter by foot (just over six miles) or pedal the paved pathways and dirt trails through forests filled with fir, cedar and hemlock trees. Experience the contrasting landscapes on a horse-drawn carriage tour (a one-hour ride costs £19 for adults and £10 for children) or take the two-kilometre ride through the forest on the Stanley Park Miniature Train, designed as a replica of Canadian Pacific Railway #374, the nation’s first transcontinental passenger train. Other highlights include a small golf course, seaside swimming pool, outdoor summer theatre and four fun-filled children’s playgrounds. Where: South-east of Sydney’s central business district, nestled between Moore Park and Queens Park. What: Once referred to as one of the most ‘highly politicised patches of grass in the country’, Centennial Park opened on 26 January 1888 (Australia Day) as part of the centenary celebrations of European settlement in Australia. Created from a swamp and rocky outcrop, its design and construction is attributed to English civil engineer Frederick Augustus Franklin and Australian botanist Charles Moore, who had trained at London’s Regent’s Park and Kew Gardens. The opening ceremony included the planting of the park’s first trees in what is now known as Cannons Triangle. The best bits: This sprawling 189-hectare space (nicknamed ‘the people’s park’) delights with palm-lined avenues, wetland areas, ornamental water features, playgrounds, sports fields, cycling tracks and several picnic areas with free-to-use electric BBQs that are available on a first-come basis. As the world’s only urban park with riding facilities, it also houses a branch of the Centennial Parklands Equestrian Centre, one of the nation’s most diverse horse riding schools. Rent bikes or rollerblades from outlets nearby the eastern side of the park, stop for lunch at Centennial Park Café and head to the Belvedere Amphitheatre; this has been the home of the Moonlight Cinema since 1997 and screens classic, contemporary and cult movies from the lawns during the summer months. Where: Set on El Carmel Hill in the upper part of Barcelona’s Gracia district. 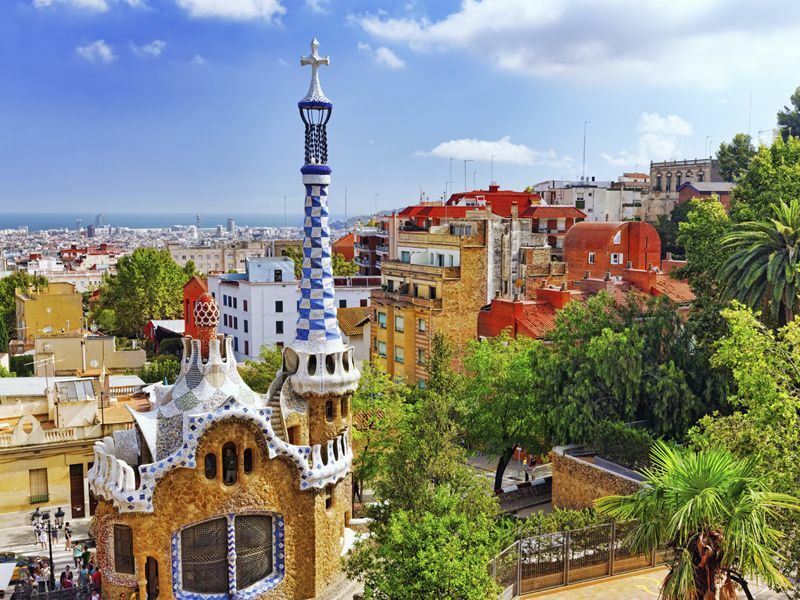 What: Originally intended as an upscale residential estate for Barcelona’s elite, Park Güell was commissioned by Catalan textile entrepreneur Count Eusebi Güell and built between 1900 and 1914. Güell’s friend, the architect and design genius Antoní Gaudí, was allowed to let his imagination run loose on this project by using his signature architectural style and whimsical sculptural forms. Whilst the residential project was a commercial failure, Gaudí’s vision was a triumph. After Güell’s death in 1918, the site was purchased by Barcelona City Council and opened as a public park in 1926. The best bits: As one of the most unusual and surreal urban landscapes on the planet, this mosaic-filled fantasyland (a listed UNESCO World Heritage site) boasts some incredible fairytale-like structures. Most spectacular is the mosaic giant dragon fountain at the park’s entrance, the stunning tiled ceramic seats adorning the terraced area and the striking colonnades, archways and covered galleries throughout. Hailed as one of Gaudí’s masterpieces, the 18 hectares-squared park also features two cute gingerbread-style gatehouses (probably inspired by Gaudí’s work on the set design for Hansel and Gretel at the Liceu Opera House). Also noteworthy is the Gaudí House Museum, the architect’s residence in the latter part of his life that showcases his furniture, drawings and personal belongings. Where: In the centre of Manhattan in New York City. What: Probably the most iconic city park in the world, Central Park was created by the winners of a public landscape design competition launched in 1857. The Greensward Plan, submitted by designers Frederick Law Olmsted and Calvert Vaux, wowed the judges and work began on this entirely man-made park the same year. The first section of Central Park opened to the public in the winter of 1858; a few months later New Yorkers were ice-skating on the twenty-acre Central Park Lake for the very first time. The best bits: NYC’s backyard guarantees endless pursuits; stroll through the six-acre European-styled Conservatory Garden, watch the world go by at Strawberry Fields (across the street from John Lennon’s Dakota apartment), strike a romantic pose on Bow Bridge and chill out in the Shakespeare Garden. 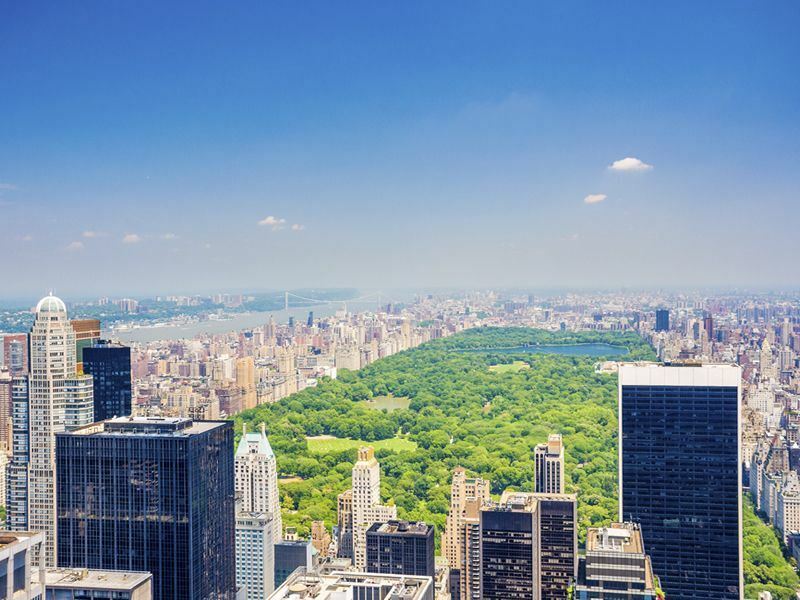 The park’s top sights include the 15-acre Sheep Meadow located along the southwestern edge of the park and the famous Central Park Zoo, home to penguins, polar bears, snow leopards, red pandas and much more. Other attractions include the Water Exhibit at Belvedere Castle, the Central Park Carousel and summertime storytelling at the foot of the Hans Christian Anderson statue. This urban wonder is the playground for New Yorkers and hosts millions of visitors every year, all eager to enjoy rollerblading, woodland walks, cycling, baseball and more within these 843 acres.